Home > S2 Games, LLC. Found 2 file extension associations related to Heroes of Newerth and 2 file formats developed specifically for use with Heroes of Newerth. 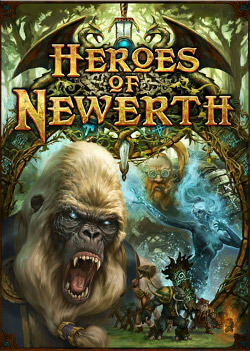 Heroes of Newerth is a session based multiplayer action RPG game based on the popular mod, Defense of the Ancients. Two teams of up to five play as special Hero units with the assistance of AI-controlled armies in an attempt to destroy the enemy base. As a match progresses, players can earn experience and gold, which can be used to upgrade skills or purchase items to make their character more powerful. The team oriented design of HoN and unprecedented Voice-Over-IP controls allow for an incredibly deep tactical team based experience unlike any other. Join as a solo player or team up with friends, either way, the fully customizable and automated Matchmaking System ensures teams are balanced fairly in regards to size and skill. Casual Mode provides new players with a more relaxed, less punishing way to learn and play HoN. Casual Mode games, while still cultivating skill in players, emphasizes shorter games, with more action, and less punishment. Accessible to the masses, HoN provides features and options that appeal to gamers of all experience levels. If you need more information please contact the developers of Heroes of Newerth (S2 Games, LLC. ), or check out their product website.